Living with teeth that don’t fit together properly can put tremendous strain on your entire dental structure – resulting in pain and discomfort from joints while teeth remain pain-free. 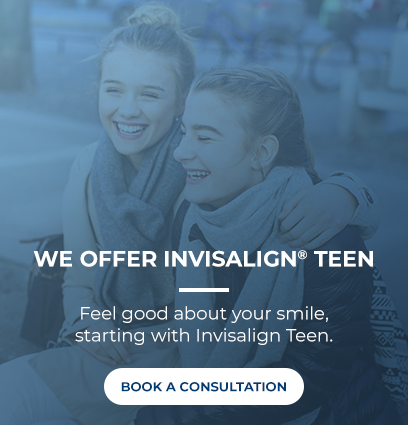 When orthodontists talk about a bad bite they are referring to the relationship between teeth in the upper and lower arch – noting alignment concerns that prevent opposing teeth and jaws from closing (biting together) properly. We’ve all heard some terms relating to abnormal bites such as crossbite, openbite and underbite. These are conditions where teeth from the upper arch do not fit together with teeth in the lower arch. But the body is truly an amazing machine that can detect even minor discrepancies in a bite – resulting in the inclusion of jaw joints, facial muscles and ligaments in the quest to get teeth to fit together. Overtime, the misuse of joints, muscles and ligaments can evoke pain and discomfort, causing an individual to deal with increasing discomfort and complex symptoms. What causes jaw joint discomfort? Orthodontist, Dr. Chana of Ortho 101 explains that there can be many reasons why a person experiences jaw joint discomfort. Injury, degenerative conditions and general wear and tear can induce some form of discomfort from joints, as can the imbalance between teeth and jaws. Imagine trying to chew food, speak, swallow and perform daily tasks of yawning and smiling with a dental system that is out of balance. The lack of balance exhibits differently in individuals – with some patients presenting with significant wear on teeth and others with headaches, jaw pain and muscle tension. Getting to the cause of discomfort is essential to establishing a successful treatment plan and involves diagnosing abnormalities with tooth alignment, jaw position and size, and joint health. When all parts of the dental structure are in optimal position, pain relating to an imbalanced bite diminishes and increased comfort is experienced. Not sure if your jaw discomfort is related to your bite? Ask Dr. Chana at Ortho 101!